How healthy are our creeks? Blue Mountains City Council runs a series of aquatic monitoring programs to measure the condition of our creeks, lakes and lagoons over time. If you are interested in finding out about the suitability of our waterways for swimming or the condition of your local creek’s water bug community, you can download a range of reports from Council’s website. 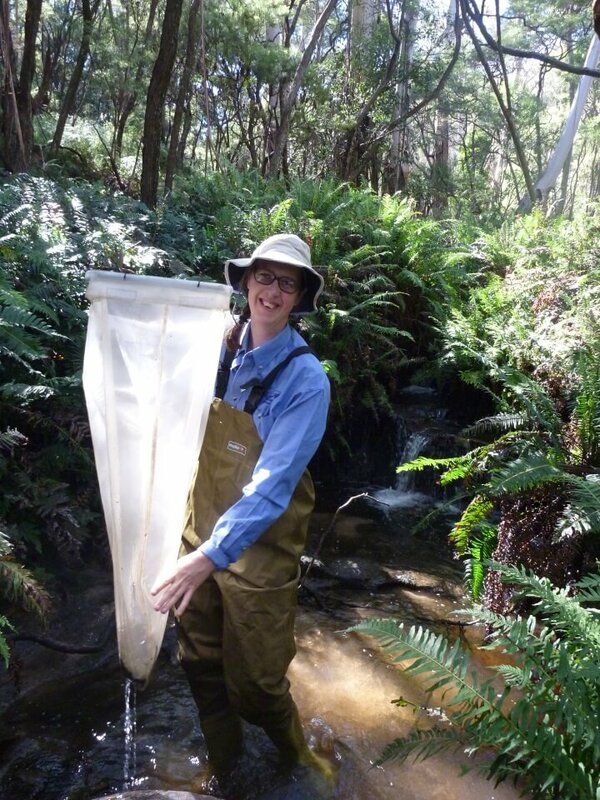 Council’s Aquatic Systems Officer, Christina Day, sampling macroinvertebrates at a tributary of Megalong Creek. Detailed studies of Jamison Creek, Glenbrook Lagoon, Lawson Creek and Leura Falls Creek. The monitoring programs are supported by Council’s Environment Levy. For more information, call Council on 4780 5000. This entry was posted in General on 3 March, 2015 by Bushcare Office.